Members in Malaysia, Megalift have recently handled OOG cargo from Europe to Labuan, Sabah. 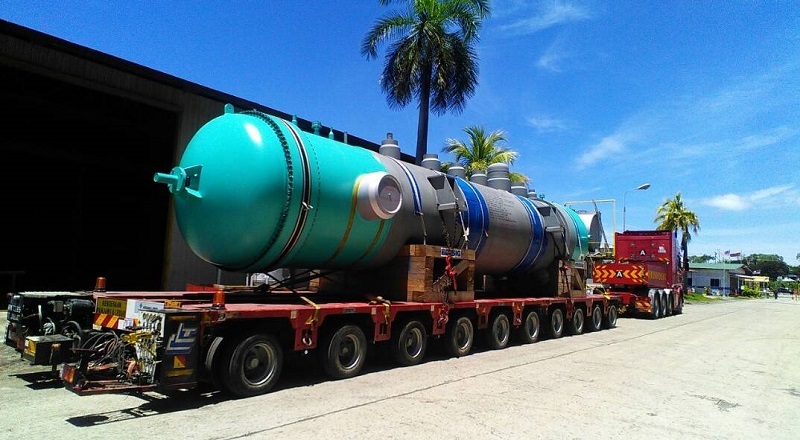 The cargo was a reformed gas waste heat boiler weighing 88tns with dimensions of 14.45 x 3.01 x 3.46m. Megalift successfully handled the shipment with assistance from their partner in Europe to Singapore before further transport to Labuan in the state of Sabah in Malaysia which is a major offshore support hub for deep-water oil and gas activities in the region.